Popular Canadian journalist Allan Fotheringham famous for his "Fotheringhamisms" once said about Vancouver, British Columbia, that it is the Canadian city with the best climate and the worst weather. Snowfall is rare in winter, but rain is the norm especially in November and December, Vancouver's rainiest months. So the upside to visiting Vancouver in November is that it is not the most popular time to visit (July and August are), so travel rates are very competitive, as are hotel and tour prices. And, though temperatures have cooled off, they will by no means prevent you from taking part in the outdoor recreation that Vancouver and the area are famous for. There is a very good chance that you will experience rain during your trip to Vancouver. The temperatures are moderate with the average November temperature at 45 F. The low can get down to about 37 F and the high reaches 48 F.
It is expected to rain roughly 20 days out of the 30 days of the month. The autumn foliage is beautiful this time of year, so if you are lucky to be rain-free for a day, then take in the changing color of the leaves at one of Vancouver's several parks that are perfect for fall foliage viewing. And, if it rains the whole time you visit, don't let the rain discourage you. There's plenty to do in Vancouver on a rainy day. Since the temperatures can dip in the evenings close to freezing, you will want to bring warm, waterproof clothing including sweaters, hoodies, light jackets (waterproof would be ideal), and a heavier jacket. You will need gloves and a hat to keep you toasty warm. Bring closed-toe shoes and boots. Don't forget an umbrella (or else plan on buying one when you arrive in Vancouver). November is a celebration of fall and the coming of the winter holiday season. The events in Vancouver reflect the season. Vancouver Eastside Culture Crawl: Visit the studios of a wide range of artists, including glass blowers, painters, sculptors, jewelers, potters, and more. Whistler Cornucopia: This event features wine tastings, elegant gourmet food events, celebrity chef seminars, and parties. Hopscotch Festival: This festival is a celebration of scotch, whiskey, and beer, including introductory courses, food pairing dinners, brewery tours, vintage whiskey tastings, and more. November 11, Remembrance Day is a general holiday in Vancouver, Canada, and the Commonwealth nations. It is similar to America's Memorial Day. Banks, government buildings, and many stores will be closed. If you're planning to go to a store or restaurant on the 11th, be sure to call ahead. If you want to see the beauty of Vancouver and save some money, one of the best free things to do is to head to Stanley Park to walk around the seawall or even visit one of the many Vancouver beaches (though the water is too cold for swimming). Towards the end of November, you will likely catch the start of the ski season, with nearby Grouse Mountain tending to open and Whistler/Blackcomb, about a two-hour drive away, also launching its season. If you're not sure if November is the best month for you, but you still plan on visiting Vancouver in the later part of the year, check out what's going on in October and December. 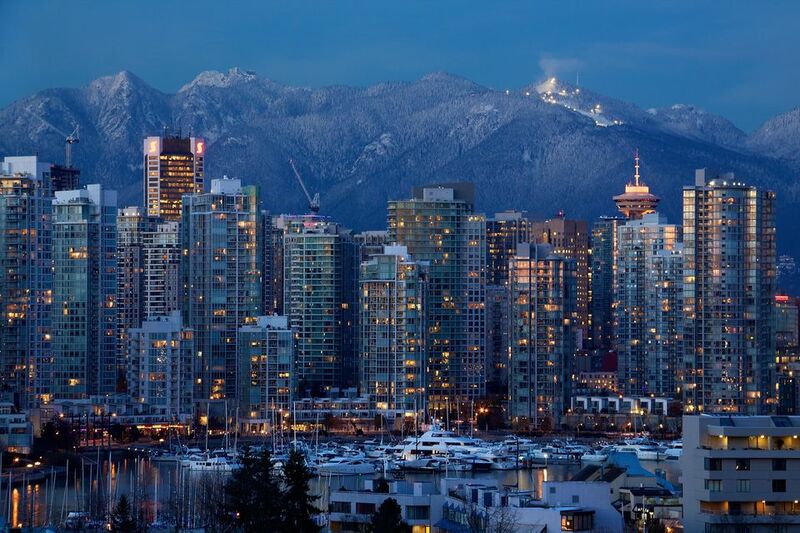 Or, you can find out more about when is the best time to visit Vancouver.